We at Fstoppers have always been big fans of the incredible photographers and retouchers who form Retouching Academy. The talent and educational knowledge of Julia Kuzmenko McKim has been shown in our 2015 Fstoppers workshop, through many posts on Fstoppers and Retouching Academy, and is condensed in her Studio Beauty photography tutorial. Now, another instructor at Retouching Academy is stepping up to bring more invaluable information to the community. Michael Woloszynowicz presents the newest tutorials from RA with an in depth look at the process of Dodge and Burn as well as Color Grading. Retouching is subtle and necessary part of creating beauty images. Many of us, including myself, have a fear of Photoshop and feel lost with the number of techniques available to improve our images. As a result, we often end up forgoing the extra effort it takes to make our images flawless. The new Dodge and Burn and Color Grade tutorials leave no excuse to leave retouching out of our workflow. In both tutorials, Michael breaks down each process into simple steps that address both theory and practical application. By the end of these tutorials, you will be fully equipped to make retouching a standard part of your photography process. These codes will only be valid until March 15, 2017. This is the first tutorial that Michael produced and as I watched through it, I quickly realized why. Dodge and Burn addresses some of the fundamental issues that come with cleaning up skin and texture in almost every photograph you take. By making this one of your first retouching steps, you set yourself up with a strong base image which you can then finesse with other retouching tools. The dodging and burning workflow also helps preemptively address issues that might come later in your workflow. This tutorial comes with four lessons and a total of 3.5 hours of content. Although the first few lessons deal with some theory and introduction to tools, I really appreciated that Michael included the images for later lessons which allow you to follow along with him step by step. Also included are Michael's dodging and burning actions and tool presets to help you dive right in to your own retouching. I appreciate that the first lesson is mostly theoretical, introducing the concept of dodging and burning and why it's a superior retouching process. There are other options that can be used to clean up skin such as frequency separation, but Michael discusses why it's better to use dodging and burning as it's non destructive workflow. You are still able to smooth out skin and fix a lot of textural blemishes while maintaining the ability to undo any portion of your work at any point. This lesson also dives into a general discussion of when and how to use dodging and burning for both corrective (specific) and contouring (broad) improvements to your image. This lesson was fairly easy to follow as an introduction but if you're less familiar with Photoshop, it might be good to go back and re-watch a couple times or revisit after you've gotten through the rest of the tutorial. In the second lesson, Michael dives into the practical application of dodging and burning. He introduces how to make corrective dodging and burning edits with your image in a black and white state. This allows you to see and fix textural flaws in your image while also retaining full color detail of an area you're working on. As well as showing how to retouch skin, Michael shows how the dodging and burning process can also be used to fix various textural issues with fabrics. Part three of this tutorial moves from corrective dodging and burning to contouring and dealing with a few specific color issues. Michael demonstrates how to shape and emphasize different features of the face and body by darkening shadows, brightening highlights, and smoothing harsh transitions between the two. There are several images that he practices on this section and it's easy to follow along with his workflow. The final section of this tutorial includes several different examples of using dodging and burning on different images. You can follow along with your own practice files through each image to help get a feel for effective retouching. When correcting these images Michael also touches on a few more examples of fixing color blemishes by separating color and luminosity. 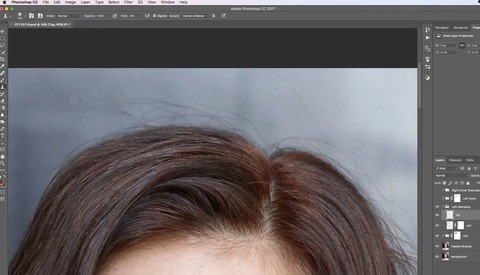 Overall, this tutorial gave me a much better understanding of dodging and burning as part of the retouching process. Michael explains the theory, tools, and practical application of dodging and burning in a clear, concise way. After working through the tutorial and the practice images, I feel fully equipped to implement the technique in my own processing. Although the Dodge and Burn tutorial equips you with the tools to clean up textural and shaping issues with skin, it is by no means a complete retouching workflow. Dodging and burning provides an essential baseline to work on your image but it's important to polish the final image with an extra layer of attention to color. Michael's Color Grade tutorial does just that. 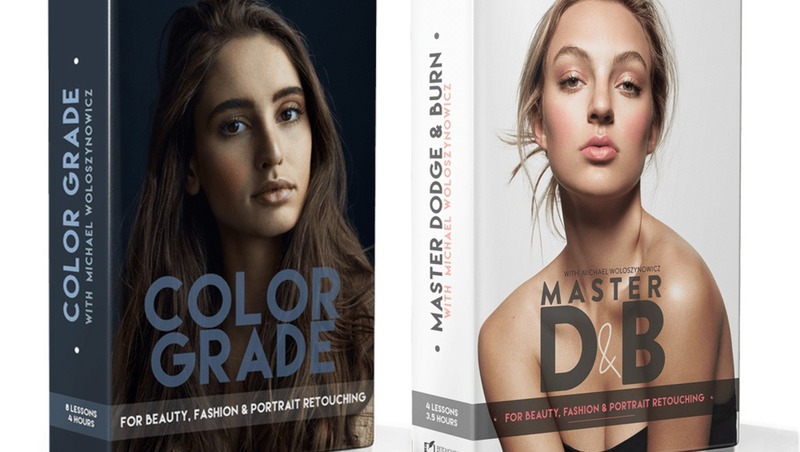 While it's not essential that you purchase Michael's Dodge and Burn course before you tackle the Color Grade course, it is immensely helpful to understand the process as it lays the groundwork for this next step in retouching workflow. Color is a critical element in any image and Michael does an excellent job of working through the practical application of applying different color grade techniques to improve the look of an image. Similar to the Dodge and Burn tutorial, this tutorial is right around 3.5 hours long but is broken down into eight lessons instead of four. There are digital files included in the download which allow you to follow along as well as some of Michael's Photoshop actions to help your workflow. One addition that I found incredibly helpful is the Digital guide (PDF) to the tutorial that comes with the download. The guide provides notes on each lesson and also has several pages dedicated to explaining the theory behind color. These pages on color theory compliment Michael's verbal discussion on color theory presented in the video. Michael begins the first lesson emphasizing the direction of the tutorial. Color theory and application is a huge topic to cover and Michael chooses to focus more the practical application of color grading than theory. He does refer viewers to several different resources if you are interested in exploring color theory a little more in depth. Once the overall concept of the tutorial has been presented, Michael revisits some basic dodging and burning techniques before diving into Capture One for some basic coverage on color correction. Starting with a balanced image is key and Michael covers how to spot a good base white balance and tonal range for your image as both these will affect your final color grade. For the next three lessons Michael walks through the wide variety of tools available to apply color changes to an image. He first covers the tools that are best used to create broader color shifts that effect every part of the image and the reasons why these tools should be used first in a color grade workflow. He then covers tools that are best used to target specific areas, colors, or a specific luminosity within an image. These lessons are a little overwhelming at first, especially if you're unfamiliar with Photoshop, as there are so many ways to do similar things. Michael tries to really hone in on the specific reasons of when and how to apply each tool in your color grade arsenal but everything he teaches starts to click much better when he demonstrates his workflow in the following lessons. The last four lessons of the tutorial show specific applications of the tools Michael has covered which really brings the rest of the lessons together. Each lesson features a different genre or situation in which color grading can be applied. Although not every tool is used on each picture, Michael covers the progression of which tools he might use in each situation, why one might be dominant over another, and which re-emphasizes the importance of the order. By the end of Color Grade, I felt well equipped to use the wide variety of tools available in Photoshop to give my images a polished unique look. Take note that this tutorial is not catered toward Photoshop novices. It's important to have a basic understanding of layers, masking, and curves before you dive into this. I would also advise starting with Dodge and Burn as it sets the framework for giving any image a color grade. I knew very little about the ins and outs of beauty retouching when I downloaded these tutorials. It's clear that retouching can be a very time intensive process. In the past, I've been reluctant to put forth the extra effort and retouch my images due to the overwhelming number of tools and options in Photoshop and a lack of understanding of where to begin. After watching Michael teach Dodge and Burn and Color Grade, I feel much more confident with what is needed for each step in a retouching workflow. I highly recommend both these tutorials for anyone who feels like their in the same boat. If you're interested in getting either of these tutorials or purchasing the bundle pack, Fstoppers has a discount for you valid for two weeks! I've long been a fan of Michael's (Vibrantshot) work. I have learned a lot from these two tutorials from Retouching Academy and highly recommend them. "Retouching is a subtle and necessary part of creating beauty images"
No it isn't. When I look at a beautiful woman on the street she hasn't been Photoshopped. And no, it's silly to try and draw an equivalence with the makeup she may be wearing. Women looked so much better in photographs before the age of Photoshop. Show me a print ad by any makeup or beauty company that hasn't been retouched and I'll agree with you. I see what you are saying in that natural beauty is something to be appreciated but "beauty photography" is generally a commercial genre and every commercially used image has been retouched. Well, Photoshop didn't always exist. What I'm saying is that they don't have to be retouched, just like a lot of things done today don't need to be done just because you can. What we have today is plastic and unnatural looking women. Sorry, but I've been in this industry long before digital imaging, and I hate to break it to you, but women in print were ALWAYS retouched. NO EXCEPTIONS. Clearly nowhere near to the extent that they are today. It obviously wouldn't have been possible anyway. And yes, there were many exceptions. It's silly to suggest that there wasn't. Clearly you never saw the airbrushing I did. "Clearly nowhere near to the extent that they are today. It obviously wouldn't have been possible anyway." You *do* know where the terms, "dodging" and "burning" came from, don't you? Good thought. I would never say a woman's beauty is defined by her features or flawless skin. 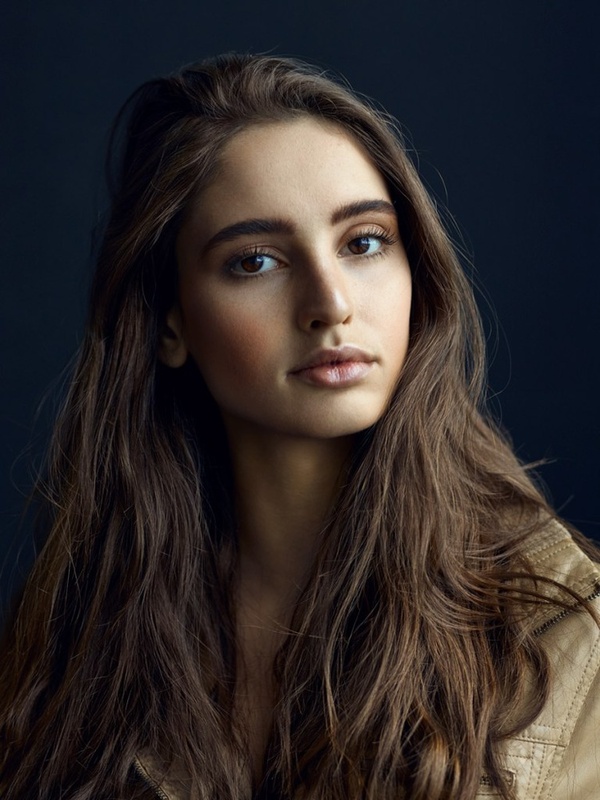 However, the truth of the advertising industry is that there are very few, if any high end commercial beauty images out there that hasn't seen an immense amount of retouching. That is what I meant by that statement. Try to watch a beautiful woman without any make up from half a meter distance, or so, and think again.. ;) There is a perfect phrasing: if you talk with somebody close to her/him, you receive a projection, a strong expression of the person in front of you. She/he is moving, speaking, you don't watch the details, you're paying attention to the look, to the eyes, to the movements, etc. 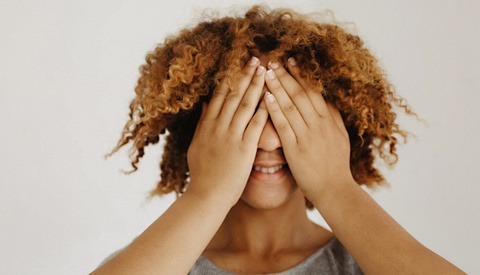 If you're watching a still image of the same person, after a few seconds you will see the small unperfections, blemishes, scars, and all these things will subtract the focus, the point from the person's expression. IMHO the function of retouching is to hide the little annoying things, to kepp the real expression, keep the important things in focus on a photo. Where did I say or suggest I was against a woman wearing makeup?? Okay, now, make up is the same modifying thing, like PS, don't you think? A professional MUA can do the same result, like us in PS. Makeup can obviously hide defects on a woman's skin, but no I don't liken it to the way Photoshop is often used. When a woman applies her own makeup I also see that as an expression of herself. That's something that could then be altered by someone behind a screen. For the most part I don't see that as a positive. I want to see her, not someone's interpretation of her. I forgot to mention that I have viewed many beautiful woman up close without makeup and have seen endless photographs of women without makeup in my reasonably long life and they looked great. Not every woman needs makeup. Women typically have far more attractive skin than men and men don't wear makeup. When you see a beautiful woman on the street, you are correct, she hasn't been retouched... digitally. But with concealer, foundation, eyeliner, rouge, lipstick, and so on (read up on makeup contouring, i.e the original dodge and burn)... i can promise you, you're looking at someone who has very much so retouched themselves, as makeup is the original Photoshop. Your argument is incredibly invalid. No, it's not invalid. I've already explained why. I could have also mentioned the obvious by saying that you can do far more drastic changes to a woman's face and body with Photoshop than you can with makeup. I also said a woman doesn't need to wear makeup at all to look beautiful. The fact is women in print looked far more natural decades ago than they do today. You even see it on this site a lot. A lot of plastic looking women. You would think you're looking at mannequins. "I also said a woman doesn't need to wear makeup at all to look beautiful" - say that to millions of women in the Western World. Beauty industry is blooming and there are countless cosmetics and makeup companies that are born every day now, and they all sell very well, sell a lot of foundations, lipsticks, mascara, concealers, highlighters. You, Peter, clearly, are living in a man's world. You'd be utterly surprised if you took a peek into the industry where the commercial beauty images are actually used. And since you have no connection to that industry, I agree with Jay Jay, your comments are very invalid in this context. That **fact**, as you call it, has nothing to do with the post under which you are commenting. I obviously responded to what you wrote, and what other people wrote and responded to. Any decent makeup artist can do way more than someone with photoshop could. All women are beautiful, but for commercial work, proper retouching to ensure the model and images are as best as they can be is critical, especially for print. A good retoucher doesn't destroy or over exaggerate a photo, they improve what's already there. And they have a respect for the craft. From your remarks, i'm fairly sure you don't use Photoshop or shoot portraiture (and definitely not commercial work), and that's ok. If you feel women don't need makeup, that's also great. But this whole article is about people who want to improve their photography and/or retouching skills, not critiquing what women can or can't do. On a side note: Why do you cut your hair? Comb it? Shave? Cut your nails? Wear clean clothes? Bathe? Use soap? Aren't men naturally good looking? Why do they need to do any of those things to make themselves look better when they're just as fine looking unkempt? Their natural beauty should overshadow their physical appearance.... right?